There’s no recipe here, folks, just a simple idea for an excellent party appetizer. 1. Make some veggies – pan-roasted zucchini with herbs, fresh cherry tomatoes, oven roasted mushrooms, roasted red pepper – anything you like! 2. Boil some cheese ravioli till al dente, then give it a quick fry in a pan with some olive oil till they gets some color on them. 3. 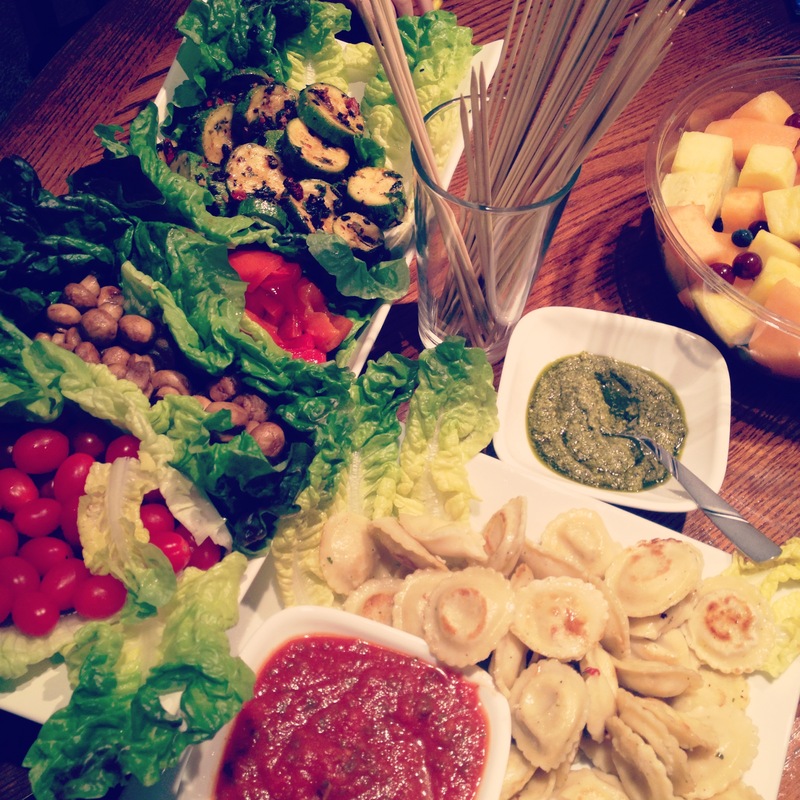 Platter it all up with some skewers for poking and marinara sauce and pesto for dipping. You could even do this autumn style with an autumn squash ravioli, roast winter veggies, and an alfredo sauce for dipping. Yum!